Israel Is Forever: Special feature to the Calling Out Community, Posted June 16, 2016. Updated November 12, 2015. There’s something special about a city with sand, sea and skyscrapers. Tel Aviv has it all and then some. National Geographic named Tel Aviv one of the top 10 beach cities in the world, nicknaming the city “Miami Beach on the Med”. Tel Aviv is the hedonistic counterpart to religious Jerusalem. In fact some restaurants, discos, and clubs are open until dawn. By day, the scene shifts to the city’s promenade and eight miles (13 kilometers) of beach just steps from town. Tourists are encouraged to go to wide and sandy Gordon Beach – near all the large hotels – to sit in a seaside café and gulp down a cheap falafel sandwich, or take a dip in the saltwater pool. 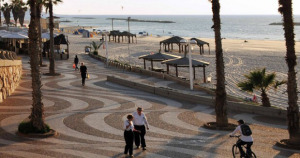 And if Gordon is too noisy with all its tourist flocks abounding, there are 13 other beaches in the metro Tel Aviv area! 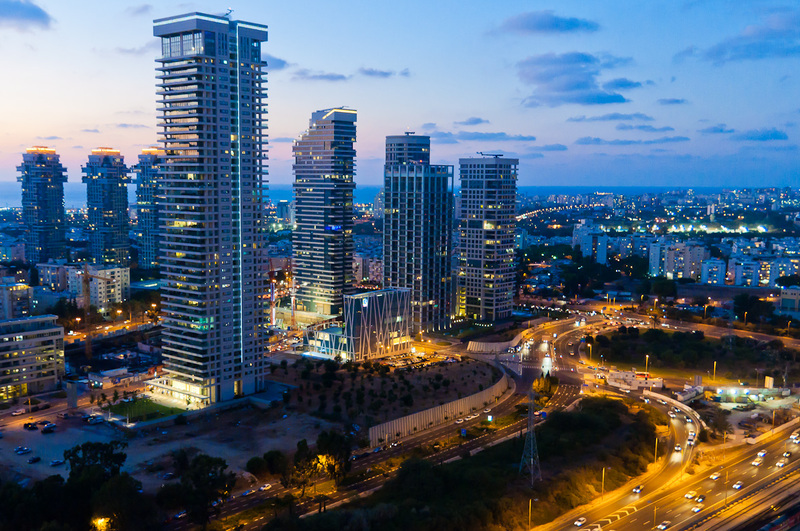 On November 21, 2013, Tel Aviv was also vaulted into the ranks of the world’s leading financial centers for the first time ever, although it placed just 32nd in a field of 79. The city made the Global Financial Centres Index with a score of 653, putting it between Rio De Janeiro, Brazil and Melbourne, Australia, in the rankings published this week by the Z/Yen Group. Tel Aviv was the only new city to join the rankings that year and ranked third for Middle Eastern financial centers, behind Qatar and Dubai. 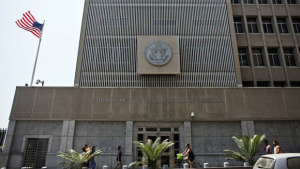 While Israel designated Jerusalem as its capital in 1950, most countries maintain their embassies in Tel Aviv due to ongoing political debate with the Palestinians. This has given rise to an unprecedented situation whereby a sovereign state – Israel – is denied the diplomatic right to choose the location of its capital city. 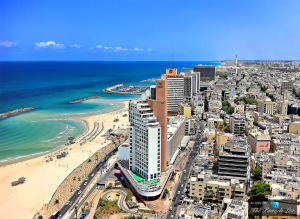 Tel Aviv is an amazing world class city with all of the beauty and bustling activity you’d expect from a city much larger.